The company was founded in 2008 by Dave Wages (Ellis is his middle name, and his great-Grandmother’s maiden name.). At the 2009 North American Handmade Bicycle Show, an Ellis 953 frame was awarded “Best Lugged Bike”. The judges honored Ellis again at the 2010 Handbuilt Show in Richmond, Virginia. This time, a Lugged 953 Ellis took home “Best of Show” award. 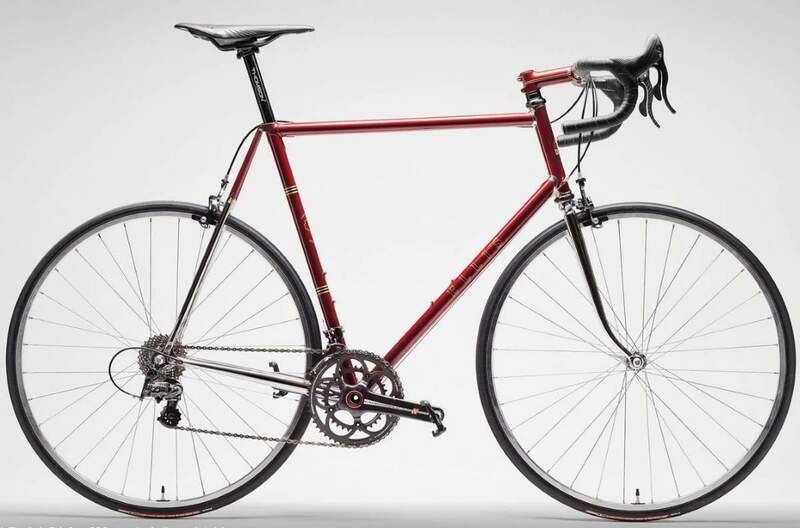 In 2011, a randonneur was tapped as “Best Road Bike”. 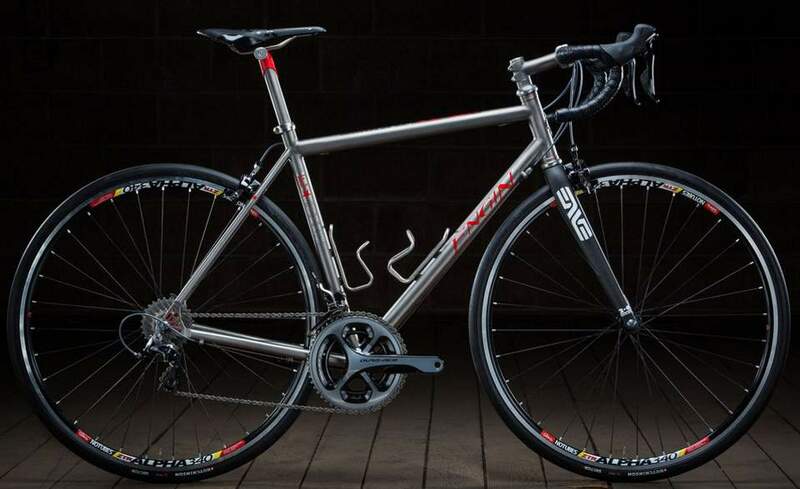 Again in 2012, Ellis received “Best Steel Frame” honors for this randonneur. A complete Ellis road bike equipped with Campagnolo Super Record. The brand is founded by Drew Guldalian, who is also designer and framebuilder. It is located in Germantown, Philadelphia, Unite States. They build Off-road (Mtb), all-road (cyclo-x), road and city-road bikes. Engin Road Bike. STANDARD FEATURES: TIG welded construction, rider specific tubeset, design for end user, all paint paint job (decals are painted on), 68mm internal relieved BB shell, 1 1/8″ headtube with rings when needed or wanted, tire clearance for up to 28c standard, fast back style straight stays, 2 water bottles boss sets, 4130 large window drop outs, engraved road bridge. OPTIONS: S&S couplers, straight blade steel fork, custom stem and seatpost, stainless drop-outs front and rear, internal brake cable routing, integrated seat tower, rack mounts, fender mounts with lower chain stay bridge, cantilever brakes, center pull brakes, horizontal track ends for single speed, painted to match Edge carbon fork. The brand is founded by Rob English in 2009 and located in Eugene, Oregon, United States. English Cycles won multiple awards in North American Handbuilt Bicycle Show: Best in show (2013), Best Campagnolo Bike (1st in 2014, 2nd in 2016), Best Road Bike (2016), Best City Bike, honorable mention (2016) and Best Artisan Bike, honorable mention (2016). 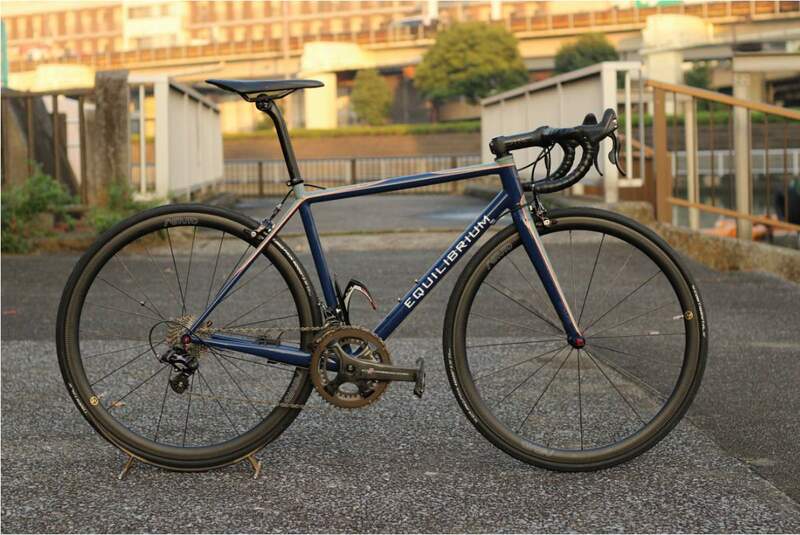 Equilibrium cycle works is a one-man operated workshop in East of Tokyo, Japan. The founder and owner of the company is Vladimir Balahovsky. Fat Chance Bikes was founded by Chris Chance in 1977. It was one of the iconic bike brands of the 80’s and 90’s. Then Chris left the bike building business for a while, but now he’s back. Fat Chance – Slim Chance 2.0. Handmade, designed, welded & painted in the USA using American made True Temper OX Platinum tubing. 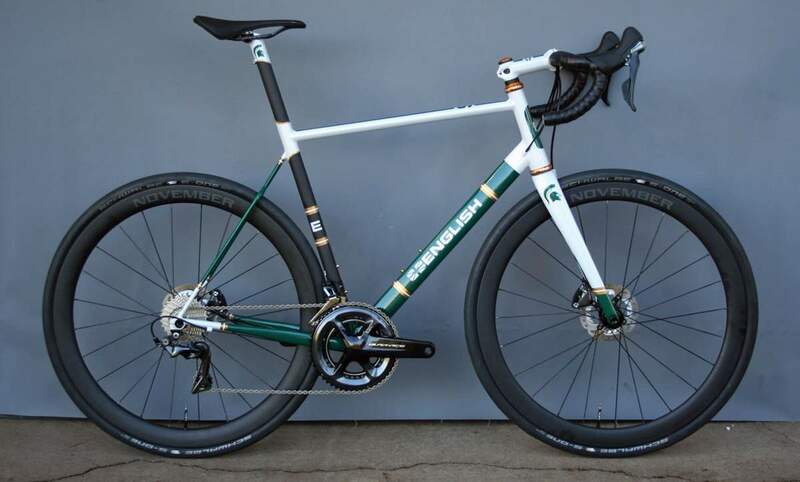 Available as a frame, ENVE 2.0 fork and Chris King headset package for $2395 (with single color paint). Classic 1-1/8” (36 mm) head tube only. Yo Road Steel fork upgrade for $150. Painted ENVE stem option for $280. Painted Silca Impero Pump option for $190. Choice of mechanical or electronic shifting (Di2 and eTap) options at no extra charge. 4 solid colors inspired some of our favorite Slim’s from the past; Blue, Pearl White, Pale Yellow and Red. 5 brand new, limited edition fade color schemes inspired by some of our favorite 90’s frames, additional $150. Fetska is a Czech brand. 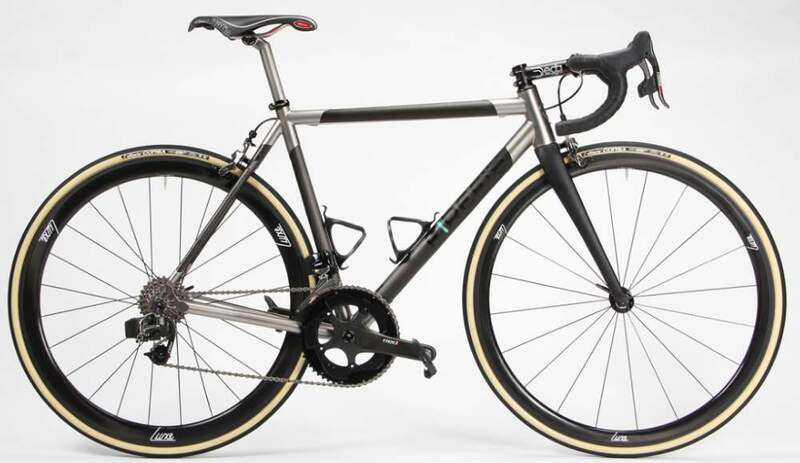 They build handmade and customized carbon, titanium and steel frames and complete bikes. Fetska One carbon road bike. Tubes: Rocket carbon, fork: 3T Rigida PRO 1/4” 43 mm rake, headset: for 44 mm head tube (1 1/8”, 1 1/4”, 1 1/2”), bottom bracket shell: PF86 (41 mm), rear wheel axle space: 130 mm, shifting: compatible with both mechanical and electronic groups, seat post: 31.6 mm, dropouts: carbon, weight of the frame: cca 900 grams. Firefly cycles is located in Boston, United States. It is owned by four friends. Tyler Evans: the creative force with over two decades of experience as a high-end frame builder. He has welded well over 10,000 custom frames. Jamie Medeiros: has been handcrafting high-end bicycle frames for the last 18 years. Kevin Wolfson: He was a North America as a Category 1 rcer, now in his career as a custom frame designer, Kevin has designed thousands of custom frames. Daniel Leader: the youngest of the Firefly team. His passion for cycling started at the age of six when he left home for the first time to ride to the local market for a bag of M&Ms. Firefly Road Ti-Carbon. Standard Features: Custom mandrel-rolled carbon tubing from Enve composites, including a tapered seat tube and top tube, Proprietary Firefly carbon monostay, 1” Chainstays, Pressfit 30 BB, 44mm straight or tapered head tube, Enve tapered fork, Fully custom frame geometry and tube selection, Meticulously TIG-welded, laser-cut titanium lug construction. 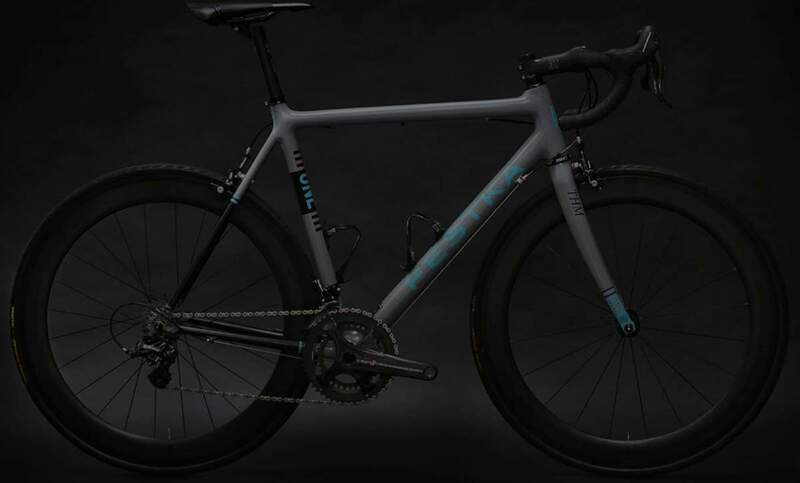 Optional Features: Internal Di2 or EPS routing, 135mm QR or 142x12mm thru-axle disc brake dropouts, Enve disc road fork, Integrated Seat Post, Threaded BB, 1 1/8” HT, Rack mounts, Fender mounts. 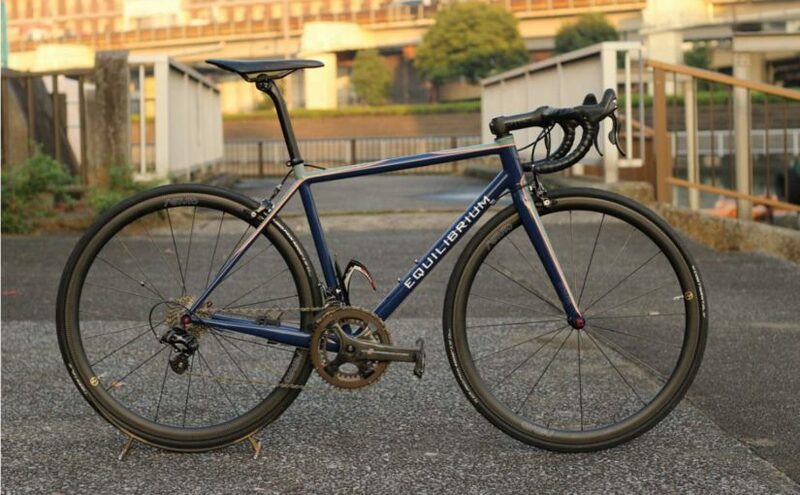 Founded by Renzo Formigli in 2014, it is is a custom Italian road bicycle frame builder, based in Florence Italy, rooted in the rich heritage of Italian frame building masters. Every unique Formigli bicycle frame is built custom for its eventual rider. 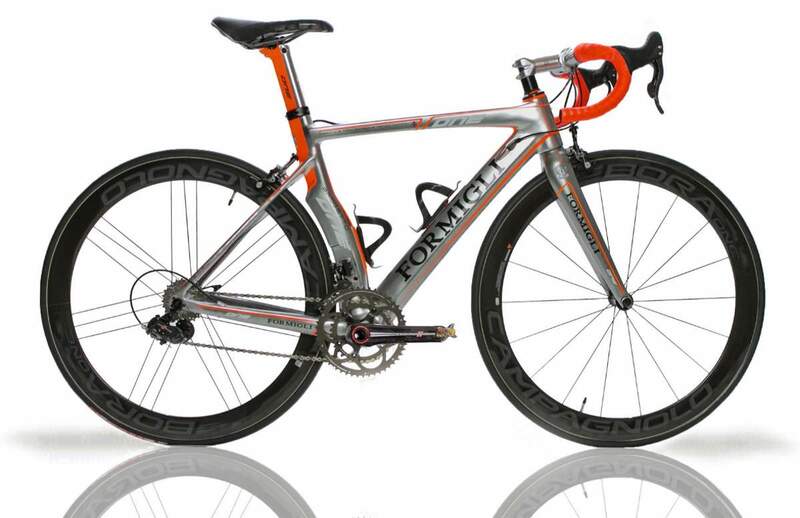 Formigli One is Formigli’s ultimate road racing bike. High modulus carbon built with Formigli tubes designed and manufactured in Florence. Fork: T 800 high modulus multi layered, uni and bi directional carbon 1/2”- 1/8”. Head Tube: Integrated conical base bottom 1/2” top 1/4”. Headset: integrated, 1” 1/4 top – 1” 1/2 bottom. Seatpost: Non integrated. Aerodynamic seatpost included with purchase. Painted to match frame, no additional charge. Carbon Dropouts. Bottom bracket: Press Fit 86.5 x 41. Di2 or EPS ready for additional cost. Prepared for both electronic and mechanical. Electronic: battery optional inside seat post. Cables: externally routed. Internal routing additional cost. Disc brake option available with modified fork. The American brand was founded by Joshua Muir. It is located in Santa Cruz, California, United States. Frances Cycles Smallhaul. The Smallhaul is the sportster of cargo hauling and the key to touring with a dog or just a lot of stuff- all placed low and right in front, within reach. The company is located in Newbury Park, California, United States. Franco Balcom S Campagnolo Record build. Frame and fork: Balcom S. Headset: FSA CFA42. Group: Campagnolo Record. Wheels: Campagnolo Zonda. Tires: Vittoria Open Corsa EVO CX. Saddle: Regale Racing. Seatpost: FSA K-Force Light. Stem: FSA OS-99 CSI. Handlebars: FSA K-Force Compact.